Humans have been dabbling with the idea of a jetpack for decades now, and have had the occiasional success. However, what if there was a device that didn't let you fly, but rather float? For a bit. Currently in development by students at the University of Tokyo is Lunavity, a drone-like backpack designed to decrease the effects of gravity and increase the height of your jumps. 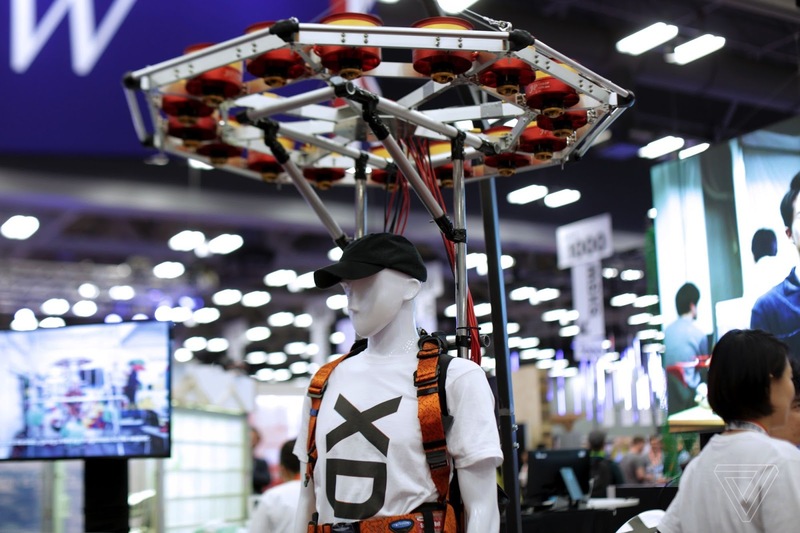 Recently shown off at Austin's SXSW Festival, the (admittedly non-working) prototype of Lunavity uses a collection of turbine propellers to create enough lift to essentially reduce the weight of the wearer. This means that you can jump higher and further. Right now, this is just a project for a small group of students, but the idea is certainly interesting. You can't fly, just become lighter. That might not sound much fun, but it could be used as a safety measure for people working at heights. And let's be honest, if it makes it feel like you're walking about on the moon, everyone will want a go.